In complex systems science, the notion of complexity is often summarized with the phrase “the whole is more than the sum of its parts“. This expression can be traced all the way back to the early Greek philosopher Aristotle (Metaphysics, Book VIII, 1045a.8-10) and mathematician Euclid (Elements, Book I, Common Notion 8). It was therefore appropriate to have a conference on complex systems in Greece. As part of a delegation from the Institute for Advanced Study of the University of Amsterdam, I attended this conference to learn more about recent advances in complex systems science, and about some ancient Greek history. Thessaloniki is the second largest city in Greece. It was named after princess Thessalonike of Macedon, half-sister of Alexander the Great (as the daughter of Philip II), and wife of King Cassander of Macedon, the city’s founder (around 315 BC). 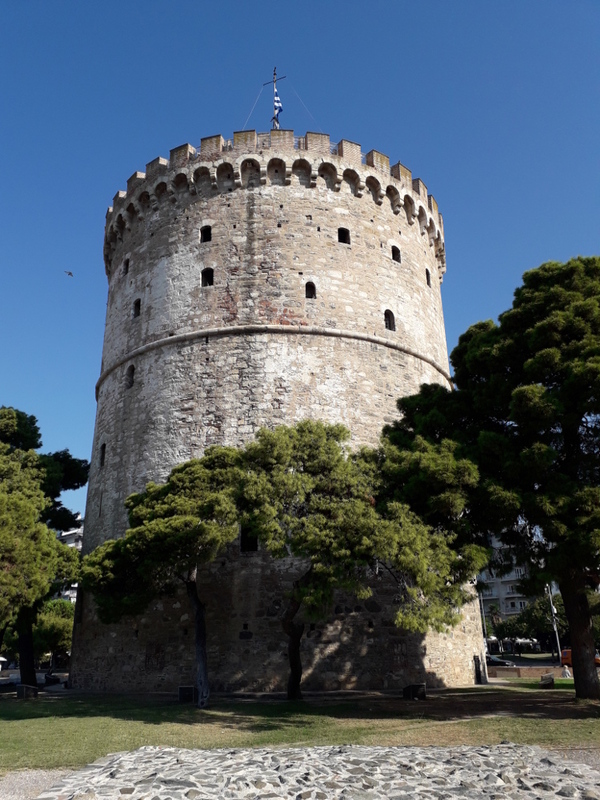 Thessaloniki has had a turbulent past, having been part of the kingdom of Macedon, the Roman empire, the Byzantine empire, the Second Bulgarian empire (briefly), the Ottoman empire and, eventually, modern Greece. Indeed, a city with a complex history spanning more than 2300 years, hosting a conference on complex systems (CCS2018), appropriately co-organized by the city’s Aristotle University. In contrast, the recently established Institute for Advanced Study (IAS) in Amsterdam has only just over one year of history. However, like its well-known inspiration the Santa Fe Institute (SFI), it fully devotes itself to the study of complex systems. In fact, SFI president David Krakauer is on its scientific advisory board. At the IAS, researchers from a wide range of fields work together on complex scientific and societal challenges. The question unifying them all is: can complex adaptive systems be controlled? During a special satellite symposium at CCS2018, current and former IAS researchers presented their most recent work. This satellite symposium was organized by IAS fellow Sacha Epskamp. Sacha presented his own work on viewing substance dependence (drugs, alcohol, cigarettes, etc) as a complex dynamical system with multiple stable states, rather than only the usual abuse or zero-use states considered in more traditional studies. IAS fellow Rick Quax talked about how information and causality are related by measuring how information propagates through dynamical systems. He has applied this measure to real-world financial data, showing that a clear build-up to the 2008 financial crisis can be detected. 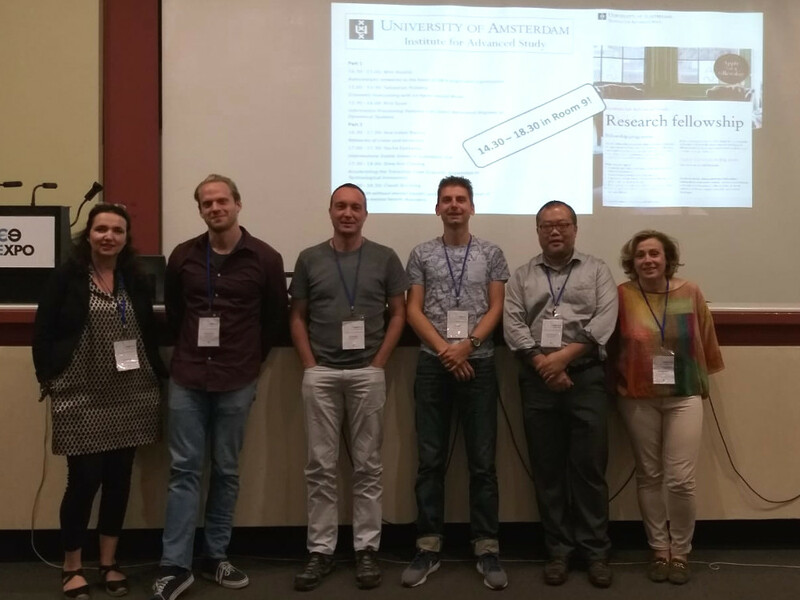 Rick also organized a separate satellite symposium at CCS2018 devoted to information processing in complex systems. 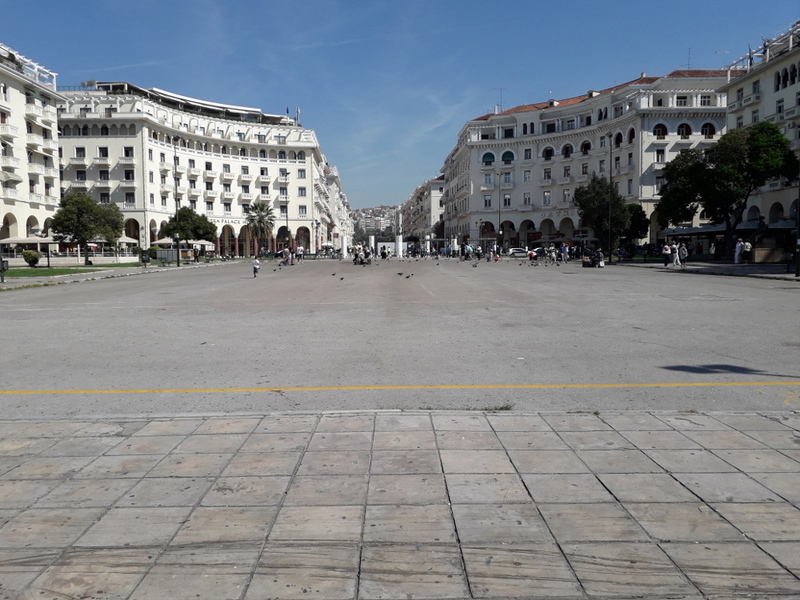 The Plateia Aristotelous (Aristotle Square) in Thessaloniki. See more impressions of Thessaloniki. Fomer IAS fellow Sebastian Poledna presented his agent-based simulation model for economic forecasting, in which all juridical and natural persons are represented by simulated “agents”, who have their own individual rules determining their economic decisions. Sebastian also presented work he has done, together with IAS external faculty member and SFI external professor Stefan Thurner, on systemic risk. IAS fellow Ana Isabel Barros showcased her work on how the dynamics of crime and terroris networks show many characteristics of complex adaptive systems, and can thus be studied as such. Ana also organized her own CCS2018 satellite symposium on the complexity of conflict and crime. IAS fellow Claudi Bockting talked about an “impasse” in research on depression, as current treatment methods are only partially effective, and relapse rates are unacceptably high. Claudi is currently exploring how complexity modeling tools can be applied to understand the onset and maintenance of common mental health disorders like depression. Siew Ann Cheong, deputy director of NTU’s Complexity Institute (a “sister” institute of the IAS), gave a presentation on accelerating the transition from scientific knowledge to technological innovations. Siew Ann studies citation networks of scientific papers and patent applications to see if there are any trends that could indicate potential innovations. Finally, as a former IAS fellow, I talked about my own work on modeling chemical reaction networks at the origin of life. Life, in the Aristotelian tradition, is more than the sum of its constituent molecules. Living organisms depend on a particular chemical organization, i.e., the ways in which these molecules interact and cooperate with each other. One way to study this kind of chemical organization is through the notion of autocatalytic sets, which are chemical reaction networks in which all molecules mutually catalyse each other’s formation from a basic food source. Mathematical and computational studies of such networks show that they are highly likely to arise in “random chemistries”, and actual experimental examples have been constructed in the lab. This makes them a useful and plausible candidate for how life may have started. The speakers of the IAS satellite symposium at CCS2018. From the left: Claudi Bockting, Sacha Epskamp, Wim Hordijk, Rick Quax, Siew Ann Cheong, and Ana Isabel Barros. Interested in an IAS fellowship? Check out the application procedure. During this 5-day complex systems conference there were of course many other presentations on a wide variety of topics, highlighting current research in the field of complexity science. These presentations were divided into plenary sessions with an invited speaker giving a lecture to all conference participants, and parallel sessions (often 8 or 9 simultaneously) with shorter contributed talks. This actually made it somewhat of a complex puzzle for participants to figure out which sessions to attend when and in which room, but everything somehow self-organized reasonably well, it seemed. As expected, there were presentations by well-known complexity scientists such as Yamir Moreno (who handed over his presidency of the Complex Systems Society to Guido Caldarelli at the end of the conference), and Alessandro Vespignani. Interestingly, both talked about modeling the spread of diseases using social network data. Related to this, my former colleague Luis Rocha presented his latest work on analyzing social media to enable, for example, identification of previously unknown adverse drug reactions and drug-drug interactions. In terms of general topics, network science and big data have become inevitably linked to complex systems, and there were indeed many presentations (both invited and contributed) on these topics. However, there were also cautionary talks. A network in itself is often not enough, some researchers claim, as it just provides a static picture. The actual dynamics on (and of) the network are just as (if not more) important, and cannot always be understood from the network topology alone. In other words, both network structure as well as dynamics need to be studied to really understand complex systems. Similarly, with big data it is very easy to derive wrong conclusions or attribute causal relations based on mere correlations. We are flooded with data these days, but simply doing statistical analyses, no matter how sophisticated, is not necessarily going to give us a deeper insight into complex systems. The famous White Tower in Thessaloniki. Looking back at the IAS satellite symposium at CCS2018, though, it is clear that the IAS enables complexity research in a truly dynamic and complex systems manner, with a large emphasis on interaction and exchange of ideas. This is also facilitated by its beautiful office space in the center of Amsterdam, with an open design offering many common areas, white boards, discussion rooms, etc, allowing new ideas to emerge and scientific collaborations to self-organize. Like its big example SFI, the IAS is more than the sum of its researchers. It is a home for complex systems science. 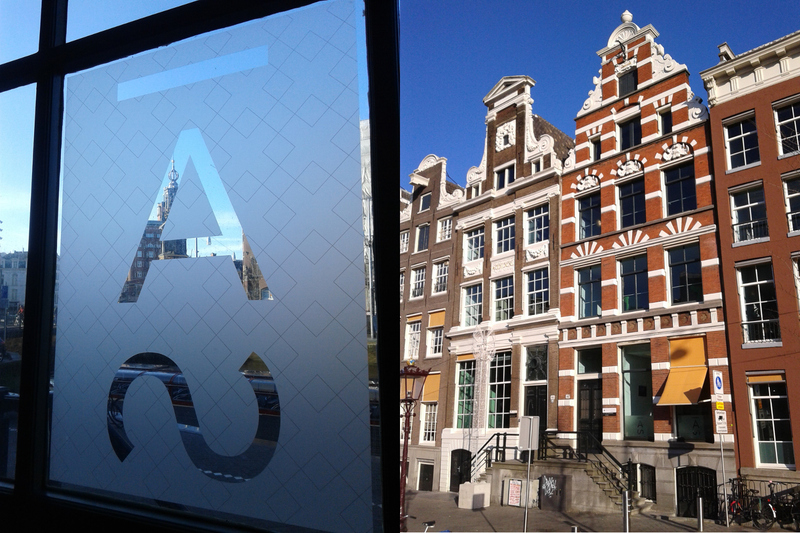 An impression of the IAS in Amsterdam.